Dallas Business Club Holiday Party! Join your fellow MBA community for a fun and festive holiday party at the exclusive Tower Club, while doing a little good for children in the community! 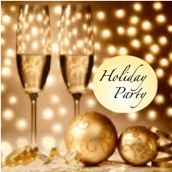 The Dallas Business Club (DBC) is excited to be hosting a Holiday Party with our Charity Partner, New Horizons. For almost 50 years, New Horizons has been providing a home and therapeutic services to children who suffer from emotional, behavioral, and attachment trauma due to physical and sexual abuse. New Horizons offers residential treatment centers, foster care, adoption, and youth counseling helping over 1,200 children each year. Finally enjoy a Dessert Buffet with holiday treats! There will be a cash bar should you want another. Live music by the Brett Laquercia Group will be playing your favorite music and an inviting dance floor will make you want to cut-a-rug - so bring your dance partner! Don’t forget help put a smile on a child’s face this holiday season and bring a new unwrapped toy, coat, sweatshirt, or other item for a girl or boy ages 7 to 17. The DBC will also take any cash or credit card donations you wish to contribute to New Horizons and it will directly benefit their efforts. The DBC is looking for Corporate Sponsors so if your company is interested in making this holiday season extra special and supporting the DBC and New Horizons, please feel free to contact Rayna Handelman at 972-954-1520 ext. 1001, Rayna@AngstromEnergy.com or Noll Saunders at 214-998-1750, noll.saunders@usi.com. There are various levels of sponsorship available with company advertising, event tickets, and other sponsorship benefits. Thank You to Our First Sponsor! 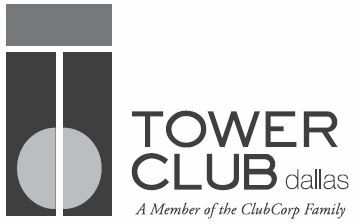 The Tower Club Dallas is a generous sponsor of the Dallas Business Club Holiday Party / Charity Event providing everyone who attends with a complementary drink! The Tower Club Dallas (www.clubcorp.com/clubs/tower-club-dallas) is the premier business, social, and philanthropic organization in Dallas. Towering over Downtown Dallas on the 48th floor of the Thanksgiving Tower, you can enjoy the beautiful skyline while networking, conducting business, hosting an event, or dining. As a ClubCorp property, you will be a member of the largest business club network across the country. To find out more about the club, membership, and benefits contact Christine Foppiano, Director of Membership at christine.foppiano@clubcorp.com or call her at 214-220-0403. Rising Star Resource Development Corp.
... a total of 53 guests.